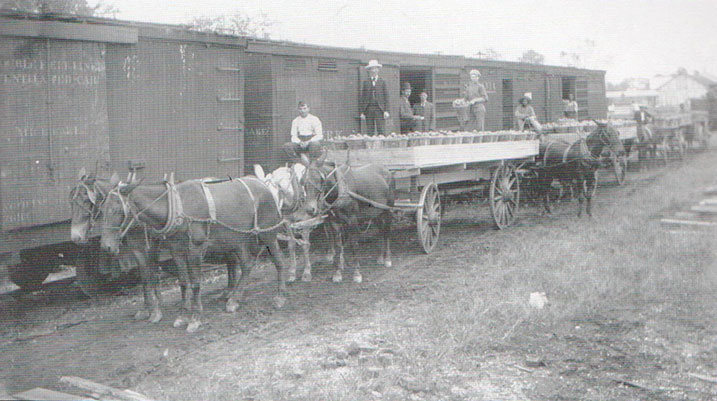 Shortly after the end of the Civil War, railroads began to crisscross Worcester County. 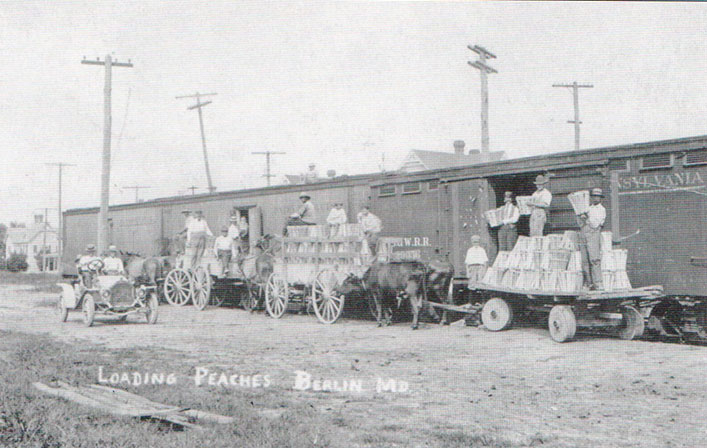 Stretching eastward from Salisbury was the Wicomico and Pocomoke Rail Road, officially opened in May 1868. 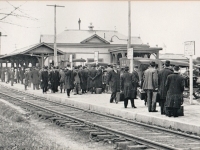 North-south lines originating in Delaware were variously names until absorbed by the Pennsylvania Railroad in 1915. 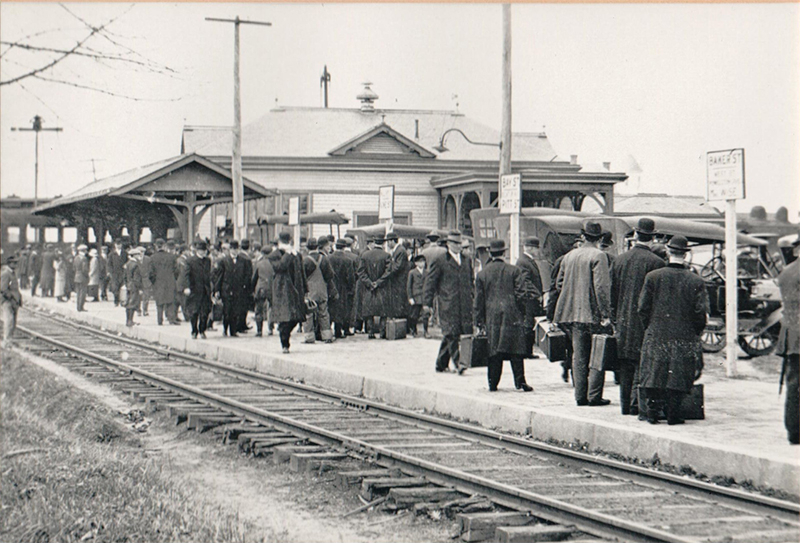 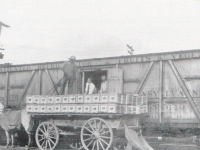 The north-couth line, at one time named the Breakwater and Frankford and Worcester Rail Road (later shortened to Worcester Rail Road), provided transportation of locally grown produce to city markets. 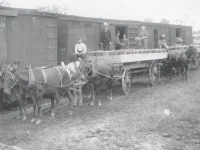 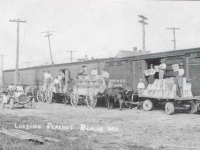 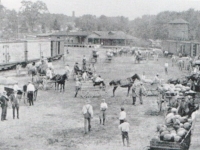 Shown are wagons of produce waiting to be loaded onto railroad boxcars. 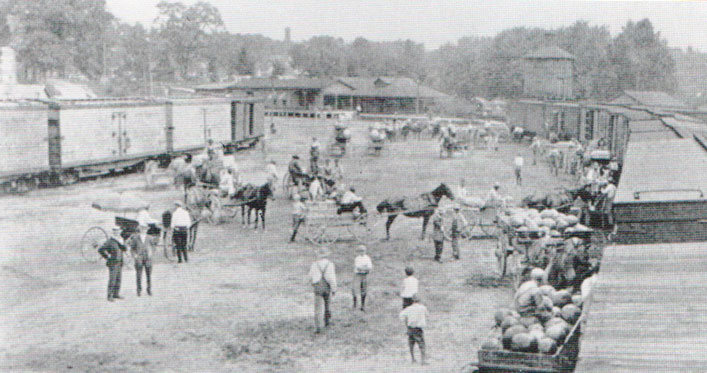 A major industry in Berlin, with facilities adjacent to Union Station, was the complex founded by Joseph G. Harrison, who developed one of the largest tree and vegetable nursuries on the penninsula. 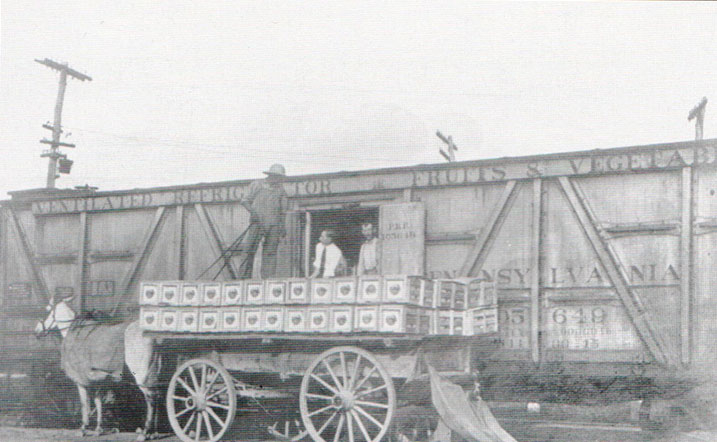 Crates of Harrison produce stand before the door of a "ventilated refrigerator" boxcar.